So glad you enjoyed the blog post, Jen! I hope you find a second read of Jane Eyre more rewarding than you did at school. It's such a shame the experience can put us off certain books or writers, isn't it? I'm looking forward to whoever is next on Susanna's feature! Glad you enjoyed the blog, Jen. I can recommend 'Charm.' It is great fun to read. It is a real celebration of the friendship between the main character and her friend, and Jane Austen is a hoot. Just wait till you get to the bit with the post-it notes. Such an interesting post about two 'Janes,' Cass. 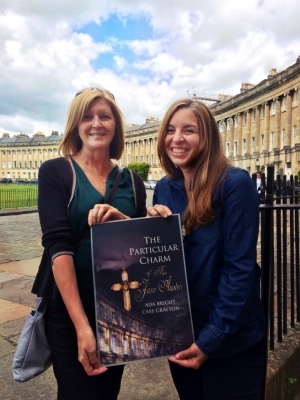 'The Particular Charm' is now on my TBR list. I also appreciate you sharing my angst about having to choose only two favourite characters! In the nicest possible way, Susanna has much to answer for! I'm now off to reread 'Jane Eyre.' I first read it at school and (possibly thanks to a less than stellar English teacher) haven't revisited it since. Hi, Tara Lovely to hear from you, as always. Glad you enjoyed Cass's blog. Thank you so much, Tara! So glad you enjoyed! Fascinating blog post. I enjoyed reading it so much, Cass and Susanna. I understand where you are coming from, Louise. We did some Thomas Hardy back then, and I didn't enjoy it at all. I don't know why, because I had a great English Lit teacher. Perhaps I just leaned more towards women writers at the time? I love Haworth, it's just so atmospheric, especially on a rainy day in winter! I've sometimes found that I need to see a good adaptation of a classic to enjoy reading the book itself. Dickens is very like this for me. Aside from A Christmas Carol, which is a short book, I struggled for years to get my head around his vast cast of characters, but I've returned to them if I've enjoyed a film or TV series (Little Dorrit and Our Mutual Friend are two of my favourites now). It's a shame you didn't get on with Jane Eyre when you were at school, Louise, but I imagine you're not the only one. I think it's important to read the right book at the right time. Maybe now is the right time for you. I hope so. 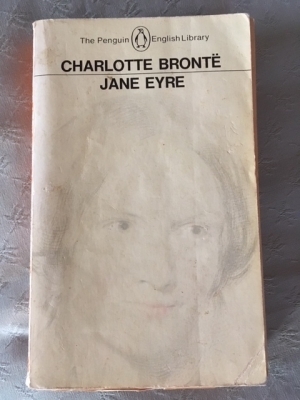 Like many others of my age, I remember 'Jane Eyre' as one of the books we 'did' at school. I can't say I have happy memories of reading it, though I did enjoy a day trip to Haworth with the rest of my year group(!). But after reading Cass Grafton's assessment of Jane Eyre as a character, maybe I will give the book another go. It wouldn't be the first time that a book that had been killed stone dead for me by 'doing' it at school, turned out in adult life to be a good read. Thanks for contributing to what is proving to be a fascinating series, Cass - though I do feel I ought to apologise to all the guest bloggers for causing them such angst. Choosing just two characters is obviously a lot harder than I had anticipated. Thank you so much for inviting me to participate, Sue. This was a lot of fun but also thought-provoking. I look forward to reading posts from your upcoming guests. In the meantime, I'm off to re-read my well-thumbed copy of Jane Eyre!